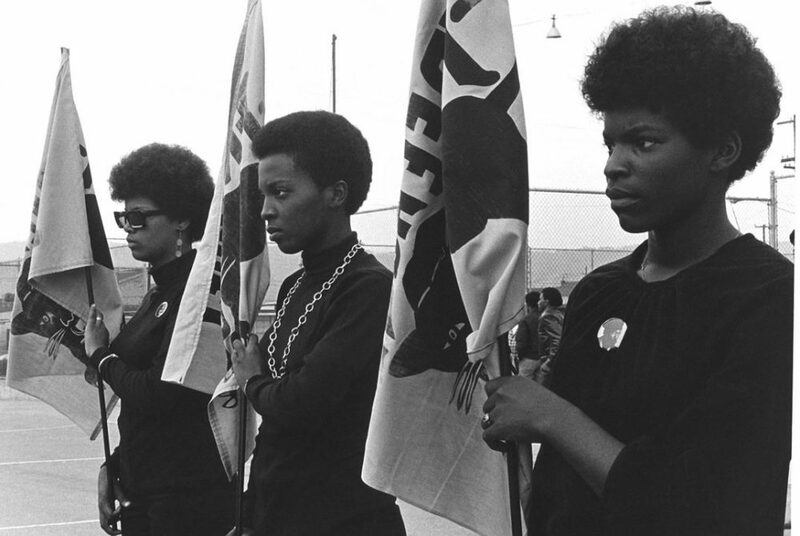 THE BLACK PANTHERS – VANGUARD OF THE REVOLUTION premieres Tuesday, February 16, 2016, 9/8c on Independent Lens | PBS. The Black Panthers: Vanguard of the Revolution FULL FILM (1:55:26) Click here! October 15th 2016 marks the 50th anniversary of the founding of the black socialist organization The Black Panther Party (for Self Defense). Tomorow Feb.16h PBS’ has it’s TV debut of the acclaimed Sundance 2015 film: The Black Panthers: Vanguard of the Revolution (115 min). A feature length documentary by 4x Emmy Award winning (2003 – The Murder of Emmett Till) (2010 Freedom Riders), and MacArthur “genius” recipient, Director Stanley Nelson Jr. The film is produced by Firelight Media (founded 1998) , a non-profit filmmaking company founded by filmmaker Stanley Nelson himself, and award-winning writer and philanthropy executive Marcia Smith. Filmmaker Stanley Nelson describes his seven year effort. Read the Feb 11, 2016 article by PBS’ Craig Philips…. Ex-Black Panther Leader Elaine Brown Slams Stanley Nelson’s ‘Condemnable’ Documentary.. Read the March 11, 2015 article from Elaine Brown – DailyBeast. wrote A.O. Scott on Sept. 1, 2015 in The New York Times. Read more here. This particular film was made to explore the Black Panther Party, its significance to the broader American culture, its cultural and political awakening for black people, and the painful lessons wrought when a movement derails. The Black Panthers: Vanguard of the Revolution will be the first film in a three-part series of documentaries about African-American history titled America Revisited. Watch the Jan. 30.2015 interview with investigative reporter Amy Goodman from Democracy now – VIDEO. Premiering February 16, 2016. Check local listings here! Get Involved here! All Power to the People: Black Panthers at 50. 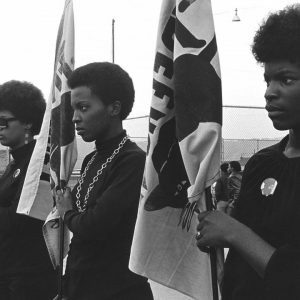 In Fall of 2016, the Oakland Museum of California (OMCA) will present a major exhibition to coincide with the 50th anniversary the Black Panther Party’s founding on October 15, 1966, in Oakland. read more here. Black UK film – 10 great black British films. Black indie – A short history of black US indie cinema. Black Power – Be black, baby! An overview of Black Power on film. also recommend Director Göran Olsson’s 2011 The Black Power Mixtape 1967-1975 (TRAILER) doc. It features the found footage shot by a group of Swedish journalists (discovered some 30 years later in the cellar of Swedish Television). Watch the film here on Netflix. This quote comes from African-American activist Fred Hampton. Chairman of the Illinois chapter of the Black Panther Party (BPP), and deputy chairman of the national BPP. He gave this speech at age 20, and murdered at age 21. Watch an excerpt from the speech here. Photo credit: Women holding Black Panther flags. Courtesy of Photographers Pirkle Jones and Ruth-Marion Baruch/ Firelight Media / PBS. Go here to order some of the stunning photo’s from Ruth-Marion Baruch.